Instead of sleeping when my baby slept, I worked. That pattern continued for a year until the pressure and stress of it all led to me to quit my business and go back to work full-time. I have absolutely no regrets with that decision. As a result, I now have nearly a decade of experience in the affiliate marketing industry - both as a content affiliate and affiliate manager. That belief led to my most recent big decision - leaving my full-time job earlier this year to return to full-time entrepreneurship. Although freelancing was the quickest way I could make the leap, I won’t be making the same mistakes again. By this time next year, passive income pursuits - like online courses, affiliate marketing and subscription services, will match or exceed what I currently make freelancing. That way, should the unexpected or unfortunate happen, I’ll be able to walk away from client work temporarily without it affecting my income - or sanity - again. 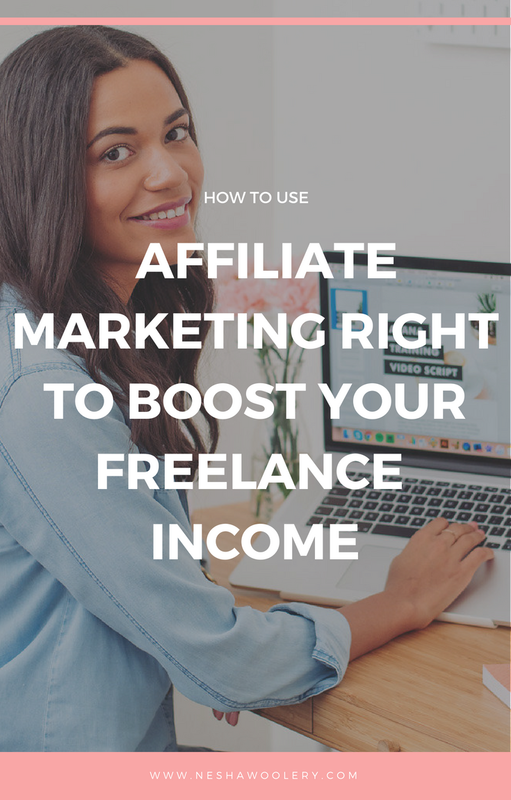 If you’re ready to inject passive income into your business, today’s post will teach you all about my favourite passive income source - affiliate marketing. Affiliate marketing is simply a partnership between a merchant (i.e. a company that sells products and/or services) and a publisher (i.e. a blogger, podcaster or multi-author website). When they team up, the publisher joins the merchant’s affiliate program so they can use unique tracking links to promote certain products and services. Anytime someone from the publisher’s audience clicks on those links and makes a purchase at the merchant’s site, the publisher earns a commission. The merchant wins because they affordably extend their marketing reach through their affiliate publishers - growing their revenue and customer base as a result. The publisher wins because they get paid to share helpful tools with their audience. The customer wins because they get introduced to something new that could benefit their life or business, and often save money or gain bonuses by purchasing through the affiliate publisher. If you’re a freelancer or designer with a blog, newsletter, podcast and/or social media accounts, let me explain how you can easily incorporate affiliate links into your content. Some bloggers cast affiliate marketing aside because they think it’s pointless to advertise a company for free without any income guarantee. That’s the wrong mindset to have. These same bloggers have no problem investing their time into things like social media because they know with just a little effort every day, they’ll eventually grow their audience and client base. The same goes for affiliate marketing and your income. I encourage you to start by experimenting with different offers, products and messaging until you find the right mix for your audience. Over time, your income will grow if you double down on what works and eliminate what doesn’t. Just like with a sponsorship, you must disclose your paid relationship when promoting companies as an affiliate. Blogger disclosure statements became important in 2009, when the Federal Trade Commission (FTC) updated its outdated policies to include new media - setting fines at up to $11,000 per violation for anyone endorsing a company or product without proper disclosures present. The FTC is a large organization with over 1,000 employees. They do spot checks and continually roll out new initiatives to crack down on bad behaviour - maybe it’s big brands today but tomorrow it could be travel bloggers, course creators or fashion influencers. On top of that, anyone can report you including your competitors, audience or affiliate manager. I’m not a lawyer, nor do I play one on TV. So while I’ve created a list of do’s and don’ts based on what I felt would be relevant for this article, I highly encourage you to read the latest FTC document to see if there are additional guidelines you’ll want to follow based on your unique situation. With your disclosure messaging out of the way, it’s time to choose your affiliate products. While you may have heard it’s only okay to promote products you personally use and love, it’s also okay to promote products you’ve used in the past too - especially if what you used in the past was more affordable than what you currently use today. Sometimes there are also special circumstances where you spend a lot of time researching (and possibly even testing out) a product for the sake of your audience. Perhaps you need to round out your article with additional options, or you know including a lower price point product will make your readers happy. Regardless, if you invest your energy into investigating a certain product to share your findings, don’t refrain from linking to it as an affiliate because you deserve a little somethin’ somethin’ for the time you devoted for the sake of your audience. Ensure the website URL you provide is live and in presentable shape. That means if you’re in the process of a redesign or getting ready to launch, wait to apply. Make sure your website content relates in some way to the program category you’re applying to. For example, don’t apply to a fashion program if you’re blog is about UI design. Sell yourself in the personalized message box most programs provide when applying. If an affiliate manager questions your application for some reason, this is the first place they’ll look to make their final decision. 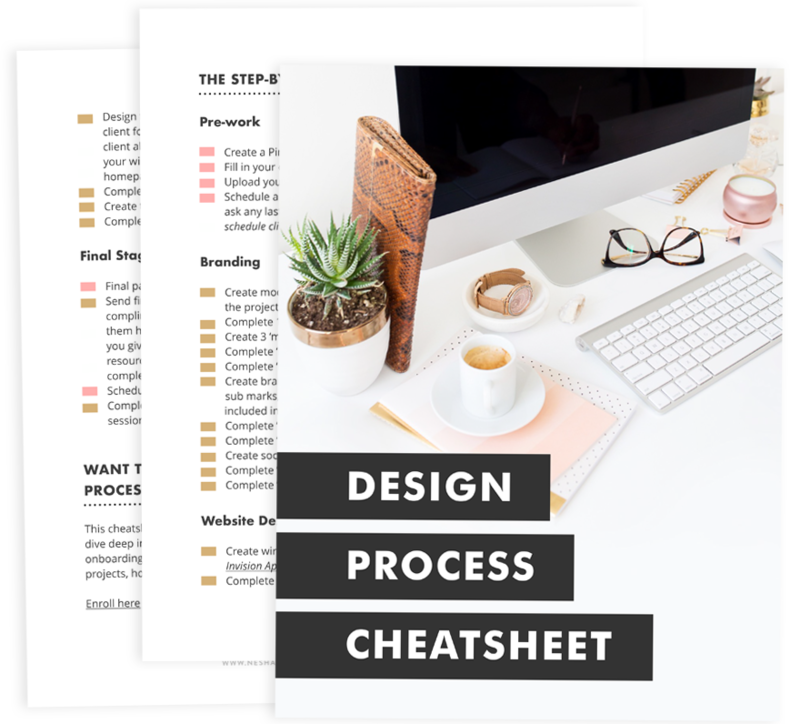 If you’re still having trouble with this step, check out my free “Always Get Approved” Affiliate Application Guide for more tips. Write a step-by-step product tutorial that helps clients learn how to get started with a tool that would benefit them. Round up a bunch of products your clients might find useful, either on a resources page or in a blog post. Show your clients how to create something really cool using the affiliate product - just like Jessica Safko did in her post about designing awesome sidebars using Adobe Illustrator. To help you take action, I created a fun Affiliate Experiments Planner for you to help you get started (or more serious!) with affiliate marketing. I also outline 31 ways to experiment and profit with affiliate links in this post so definitely check it out if you’re looking for outside-the-box promotion ideas. To find success with affiliate marketing, experiment with different products, offers and messaging until you find the right affiliate mix for your audience. Grab the Affiliate Experiments Planner to get strategic with your affiliate marketing efforts. Have you tried affiliate marketing yet? If not, what’s holding you back from getting started? If so, how do you plan to grow your revenue with it in the coming year? Justine Grey is an Affiliate Strategist helping product sellers and bloggers grow their revenue with affiliate marketing. For more affiliate tips and tricks, check out her guide to affiliate links or join her Affiliate Ace community.